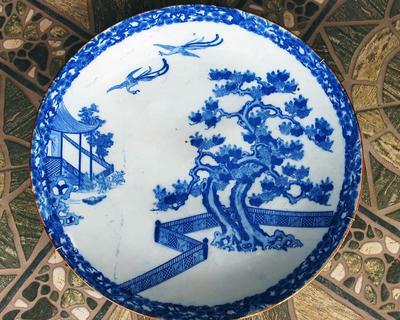 Hi Peter, would you please have a look on this blue and white plate, I need your opinion, do you think this is authentic or just another "garbage", thanks Peter, much obliged. Hi, it looks faintly Japanese, but I'm not sure. The birds and roof look strange even for a Japanese item. Definitely not a Chinese antique. 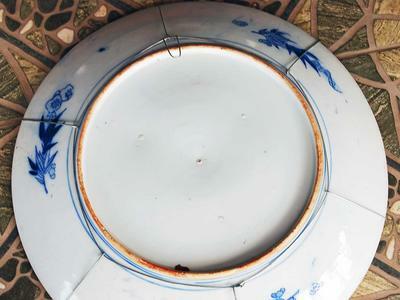 It has no traditional Chinese features apart from the motif. The pictures are too small to see details, but could the decoration be printed?